Home / Chlorine Removal Tips / Does Anti-Chlorine Swimmer’s Soap Work? Does Anti-Chlorine Swimmer’s Soap Work? Goodbye Chlorine manufactures swimmers’ soap and other anti-chlorine products for swimmers’ hair and skin. Click here to see our entire product line, or our buyer’s guide. Many swimmers are looking for swimmer’s soap, the best swim soap, soap for washing chlorine off after swimming, or a soap for swimmers. Yes it does, but you need to use a soap made with special ingredients made to remove chlorine. These specialized anti-chlorine soaps remove residual chlorine that has stuck to your skin. 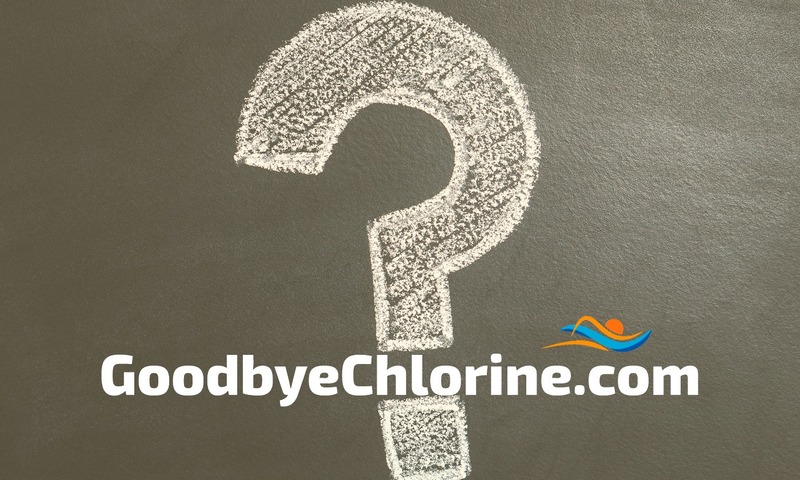 First, let’s examine the problem with chlorine. Have you tried showering multiple times after swimming, and still the chlorine sticks to you? Have you started sweating in the warm afternoon sun after swimming, and suddenly you smell the pool again? That smell is the residual chlorine that stuck to your hair and skin. After some time, the chlorine really does a number on you. It dries out your hair and skin. Your hair turns brittle, and in some cases, may turn your hair a greenish tint. That’s what people commonly call “swimmer’s hair“, or “chlorine hair”. After being exposed to chlorine, your skin may become dry and itchy–especially for people who have sensitive skin. Have you noticed that no matter how hard you try to wash it off, the chlorine just seems to stick to you? Normal soaps remove grease and dirt (not chlorine). If you think about it, after swimming for only a few minutes, you are very clean. Chlorine is an extremely effective sterilizer. Swim around in it for a while, and I guarantee you’re about as clean as you can get. The one thing you need to get off after swimming is the pool water and the chlorine that has formed a tight bond with your hair and body. Because normal soap is made to remove dirt and grease, it’s not the best thing to use after swimming. What’s more, if it’s a strong soap, it will likely compound the skin- and hair-drying problems created by chlorine. It’s the formulation of the soap that matters. Swimmer’s soap should be made to remove chlorine. Our bar soaps all contain an effective chlorine-reducing agent that gently and effectively releases the chlorine bond. Our soaps are also very mild and emollient which means they are soft and gentle. Soaps don’t moisturize like lotion, but our soaps are about as moisturizing as you can get, as far as soaps go. It should be specially formulated for swimmers and contain chlorine-reducing agents. The soap should be emollient and moisturizing. A good soap for swimmers should be mild. And lastly it should be made from natural products if possible. If it’s removing chlorine that you want after swimming then make sure you buy a soap made for swimmers.